Professional graphic designers will restore your photos, create an original design, make a collage from many of your pictures, and more! Professional Expertise Our designers are highly experienced and knowledgeable. Dedicated Collaboration We work hard and communicate to ensure you are thrilled with your restoration or design. Fast Results and Low Prices We offer affordable pricing for professional services. We accept all graphic design requests. 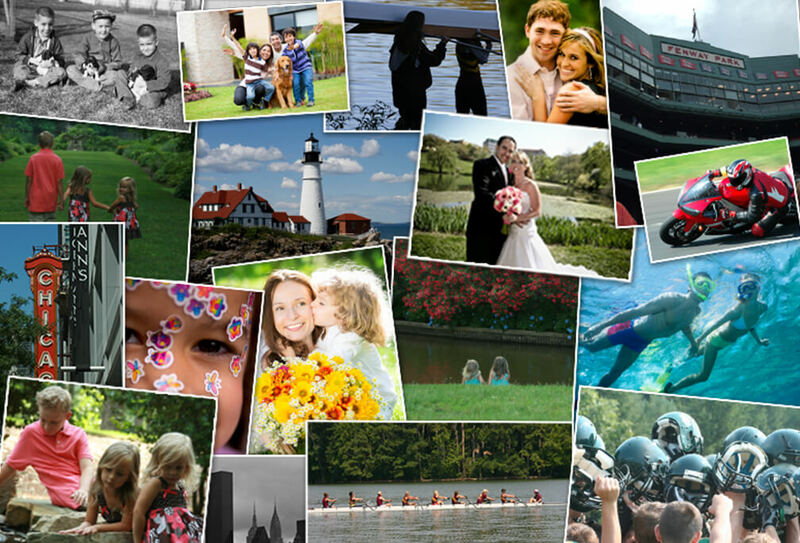 Custom Collage Making Attach up to 50 images for a custom collage designed exactly to your specifications. 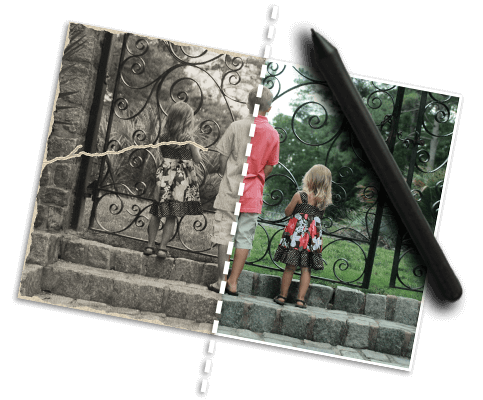 Photo Restoration From removing scratches and tears to completely colorizing your old photographs. Original Logo Designs Our graphic designer will craft a custom tailored logo for your company or project. 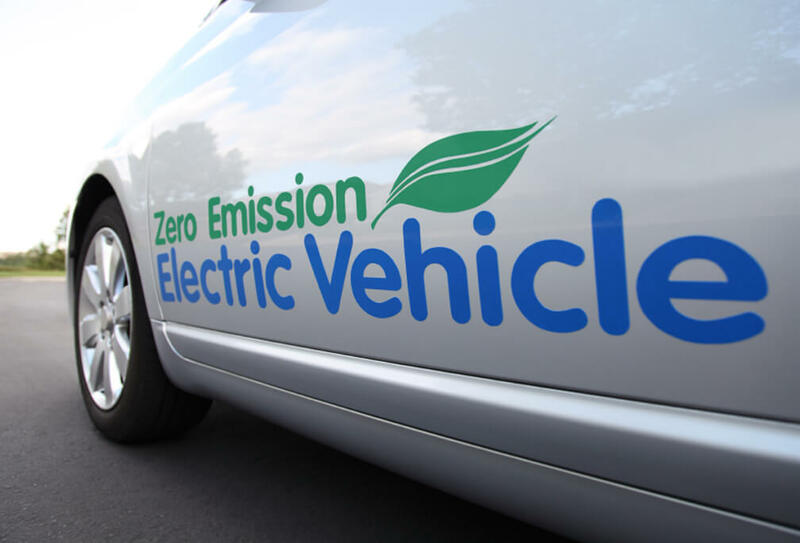 Custom Decal Designs We will design the perfect custom decal design tailor made to your specifications. Christy S. in Tampa, FL said... I had an old photograph of my grandfather from WW2 and PosterBurner did a great job removing the scratches and blemishes. 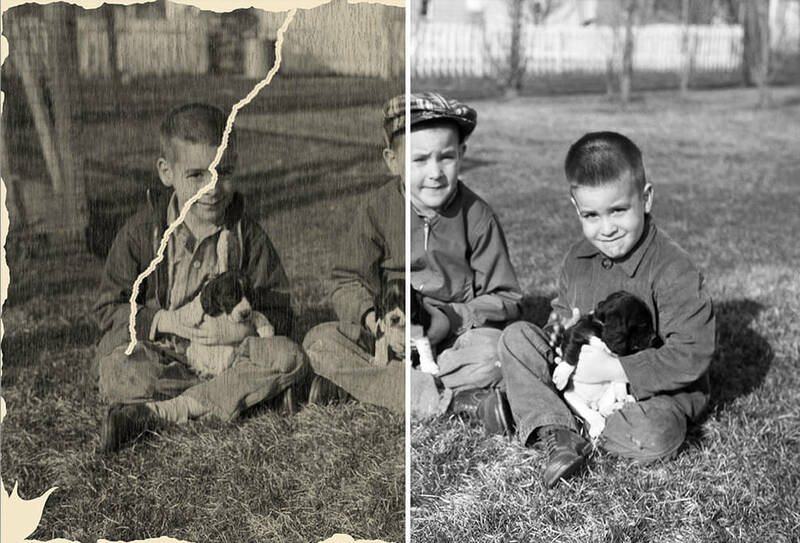 I highly recommend them for restoring old photos. Enrique H. in San Jose, CA said... PosterBurner made my collage from a folder of pictures and the end result was great. Tanya Y. in Savannah, GA said... Thank you thank you thank you. I love the design and I can't wait for my business cards to arrive. C. Thomas in Philadelphia said... Everyone at the office was thrilled with the design you guys made. 10/10. Brandon in MN said... Than you for restoring the picture I sent in such a timely manner. I am very happy with the fixed photo.